A creamy and tasty baked vegetarian dish. Pair with a dry Sauvignon Blanc. In a medium saucepan melt the butter over medium heat. Stir in the flour for 30 seconds. Add the cream, 2 teaspoon salt, 1/2 teaspoon pepper, coriander, nutmeg, cumin and bring to a boil stirring occasionally. Turn off heat and stir in the cheese until melted. in a bowl combine bread pieces, oil, 1/4 teaspoon salt and 1/4 teaspoon pepper. In a 9×13 baking dish layer the leaks on the bottom. Top with the potatoes. Cover the potatoes with cream mixture. Then even distribute the bread mixture. COVER THE DISH WITH FOIL. Bake for 25 to 30 minutes. REMOVE THE FOIL. Then bake for 8 to 10 minutes longer until the top is golden brown “au gratin”. YUM – this looks delicious! 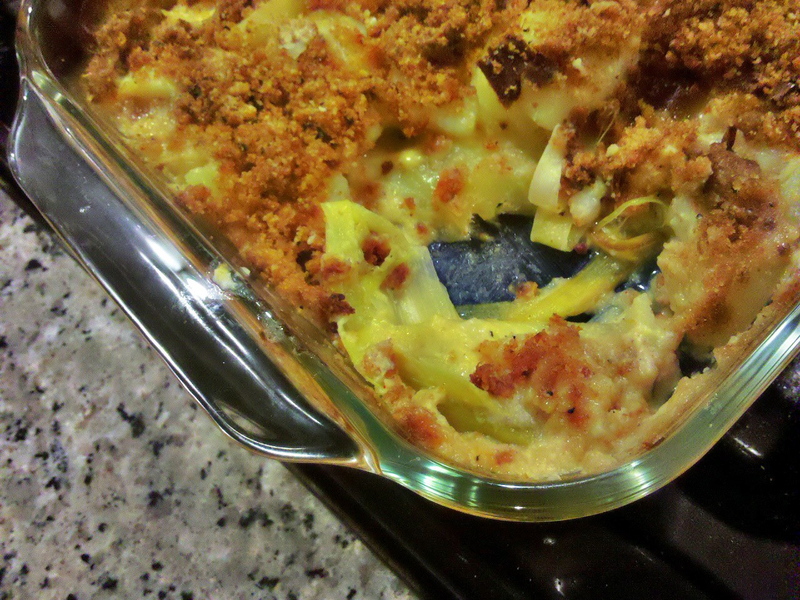 Can’t wait to try adding leeks next time I make potatoes au gratin. Also…I’ve nominated Unwind Cooking for the One Lovely Blog Award. You can read more about the award here: http://sweetsoutherncomfort.com/2012/05/11/one-lovely-blog-award/. Thanks for sharing such creative recipes with us! Wow, thank you Sweet Southern for the compliment! Triathlons and half marathons? I’m impressed! Thank you for the compliment! Everything on your cooking blog is amazing. Your honey cupcakes look scrumptious. No wonder it’s a hit! The frosting recipe is my own, though. This looks really interesting. I’m learning so much on these food blogs & you’ve just added to my fund of knowledge. I had no idea that you’re only supposed to eat the white & light green parts of the leek. I’ve never used them much but this looks like a great recipe. You’re very creative. Thank you for your comment! I just learned that too. 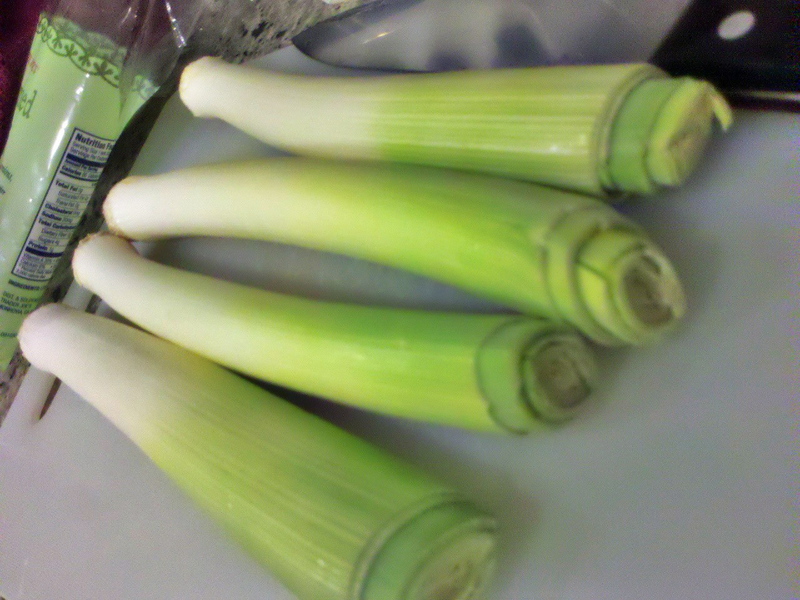 When I bought the leeks it was already prepared with just the edible white & light green parts. Leeks are related to the onion.